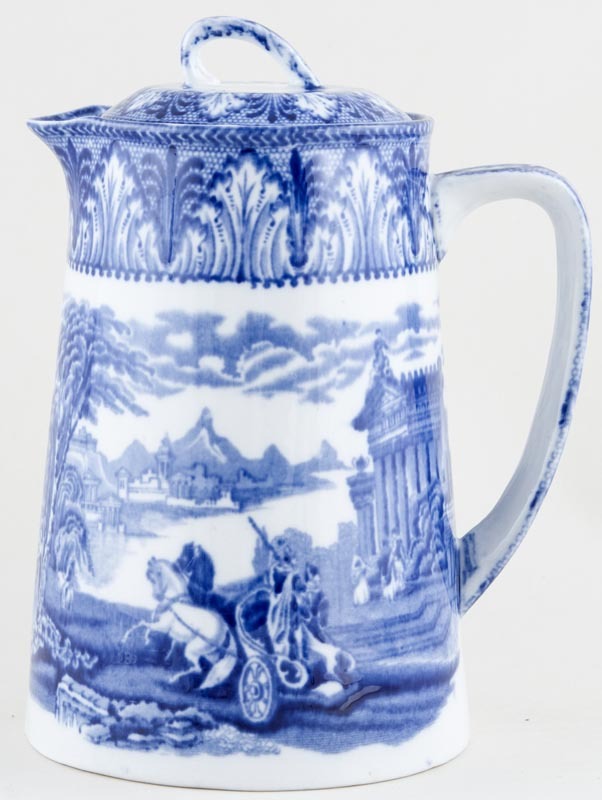 Lovely jug with tapering cylindrical body and pretty little loop handle to the cover. Backstamp: Cauldon England. A little minor blue smudging here and there, overall excellent condition.